Historic ties between the UK and Irish agricultural markets will continue after Brexit, despite the challenges the Irish firms may face. 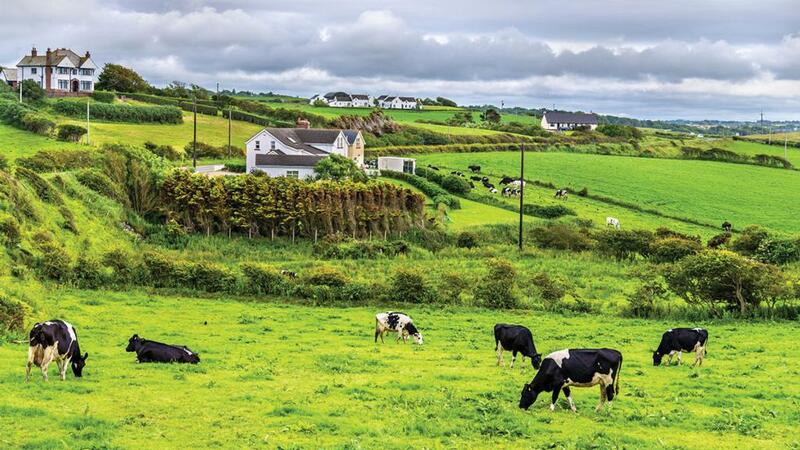 With the farming industries having much in common across the UK and Ireland, Enterprise Ireland UK regional manager Deirdre McPartlin believes the UK was a ‘natural extension’ to the Irish markets. Enterprise Ireland is the Government agency responsible for developing Irish businesses in world markets, representing many agricultural machinery and technology firms. With a small economy, Ireland has looked to international markets to achieve growth. The UK was the biggest market for Irish goods and, although it had become less reliant on the UK, Ms McPartlin believes it would to continue to be the most important for agricultural firms even after Brexit. “We have very similar conditions,” she said, adding it meant British and Irish farmers were facing broadly the same problems, and companies could then offer the same solutions. But Irish firms have also benefited from being a part of the common market, exporting produce across Europe. And the companies which had benefited the most from the common market were small and medium-sized businesses. “Smaller companies are the ones that suffer most from customs barriers,” she said. Ireland was also casting its net outside of Europe, with the southern hemisphere creating an opportunity due to seasonality. Utilising technology used in rockets and torpedoes for dairy farming has helped Irish technology company Dairymaster create a worldwide brand. Founded in County Kerry in 1968, Dairymaster has expanded into more than 40 countries worldwide, with operations in the UK and the US. The in-house research team creates software including systems with speech recognition and mobile apps for use on farm, and has seen opportunities to repurpose technology used for purposes such as rockets and torpedoes for dairy farms. It designs and supplies its own software including milking equipment, automated feeding systems and cow health and fertility monitors and has won multiple awards around the world. Solutions to the Northern Irish border question would also be vital for the industry, with food often crossing the border multiple times. While machinery companies did not have the same level of cross-border collaboration, it was a very important marketplace. “Often it is the first part of that journey into the UK market,” she said. Currency has been one of the biggest challenges since the EU referendum but Ms McPartlin said agricultural firms were more concerned by commodity prices. She said most of the companies had been around long enough to have seen currency move up and down before. And Irish firms were also on the lookout for any opportunities which may emerge as UK agriculture evolved. She added technology companies had thrived by keeping close to the farming community to ensure they were not ‘innovating in a vacuum’. Broadly speaking, manufacturers were hoping for as little change to the status quo as possible, with firms welcoming comments from UK Environment Secretary Michael Gove giving farmers time to prepare. However, firms would not be waiting around for political decisions to be made but making sure their businesses were ‘the best they could possibly be’ to ensure they could continue taking the opportunities in the UK market after Brexit.